Ethylene Vinyl Acetate | Polysciences, Inc. 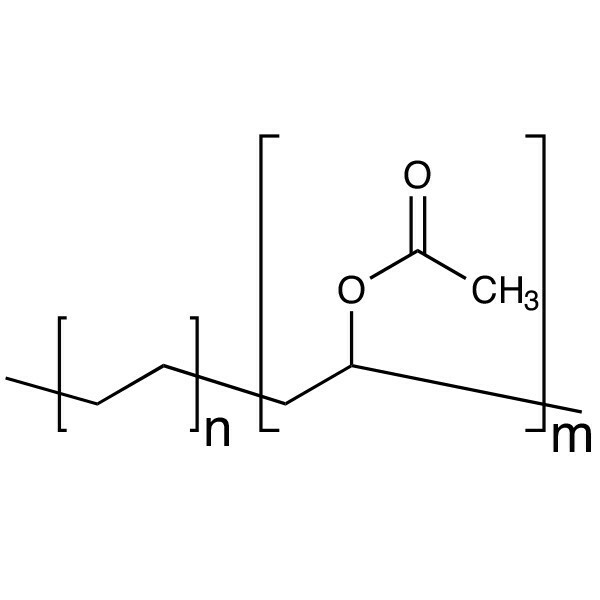 Ethylene Vinyl Acetate (EVA) copolymer is a redispersible polymer, available as a free flowing powder that can easily be redispersed to form a latex dispersion! Some applications require a 100% dry solids polymer that can be pre-mixed with other solid additives. Addition of water to the mixture allows the polymer to re-disperse back into a latex polymer forming a final composite that is adhesively bonded by the polymer in the mixture. Just add water to this solid grade polymer and it quickly responds by dispersing into latex particles that are useful bonding agents in composites. After evaporation of the water, a solid article may be formed from admixtures of the polymer and other solid components.